FinTech in Latin America is much like social media- flourishing with lots of room to grow. Today, we are looking at our friends in the southern sphere to talk about growth and trends and differences among Latin American countries. 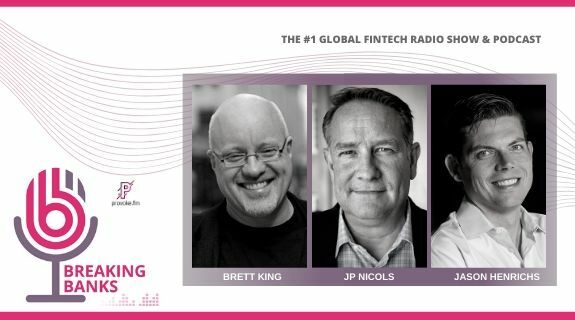 Brett King hosts Alejandro Cosentino- Founder and CEO of Afluenta, Vicente Fenoll- Founder and CEO of Kubofinanciero and Anders Norinder- CEO of Brazil iZettle. Also don't miss show regular, Ian Kar with Quartz media, covering all fintech news. CEO, Brazil iZettle Experienced international CEO with strong experience from working in Latin America. Internationally I have been working in Brazil (11 years), Mexico (3,5 years), Indonesia (1 year), Singapore/Malaysia (1 year), Australia (1 year), Sweden (1,5 years) and in Spain. I have experience working in a rapidly changing environment and am used to take and implement major decisions. I have a tolerant view on people, different cultures and like to coach and lead subordinates in a trustworthy and honest way and I have a broad leadership experience of working internationally.